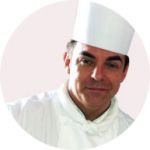 Executive Chef London Hilton Park Lane. “Stephen can be confidently recommended for any event which requires professionalism, energy, enthusiasm, motivation and commitment. I would highly recommend his projects. He always exceeds expectations”. “Just to say thank you very much for all your help on Saturday. The client absolutely loved the party and entertainment. She asked me to pass on her thanks to you and the rest of the acts who were brilliant and totally professional in all regards. “One of the originals, always willing to go the extra mile to make the job as good as it can possibly be. With a long history as a character clown and entertainer, he has an all-round understanding of what it takes to make an audience happy. Super-professional and always a joy to work with”. Director at Viva Aerial Dance. Aerial acrobatics performance, training and consultancy. “Our entire conference team feel privileged to have been able to work with Stephen and thank him for his outstanding service. Good luck in all the future events you are involved with”. “This man is a Treasure. In another age, he may likely have been institutionalized or made Court Jester; lucky for us he exists in our time, when people seek connection at levels not as available in daily life. Grindle, and those he gathers around him to perform, has an inherent grasp of the possibilities of Human Connection through magic, humor and surprise and possesses an innate sense of possibility without limits. This is the man for one’s Creative Team if the object is to discover and present the best that is possible. Talent loves working under him, I thoroughly embrace working with him, and we have a very happy client for whom we worked. Kile Ozier – Itinerant Creative Guy, Consulting Creative Director for BRC Imagination Arts. “Unique acts brilliantly presented with a very high level of expertise and attention to detail reflecting the hard-work, thought and dedication put into his presentations”. “I loved every minute of working with Stephen and can’t wait for an excuse to hire him again”. “Highly talented and extremely imaginative all round entertainer, second to none. Can`t reccommend too highly”.